Hello, I am Laszlo Kiss an architect living and working on the East End of Long Island. 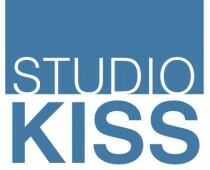 Studio Kiss, my architectural practice, is involved in both residential and commercial design. We work closely with all our clients to achieve a unique and comfortable modern living or working environment which meets their needs and budgets. We are very interested in creating energy efficient solutions and utilize green materials as much as possible to create heathy spaces. I am also the founder of ASAP•house Inc. a manufacturer of modern, energy efficient houses which range in size from 600 sf to over 4,000 sf. We build our modules using Structural Insulated Panels, also known as SIP’s, which allows us to create highly energy efficient building envelopes. We can deliver homes thought the East Coast from Main to North Carolina.